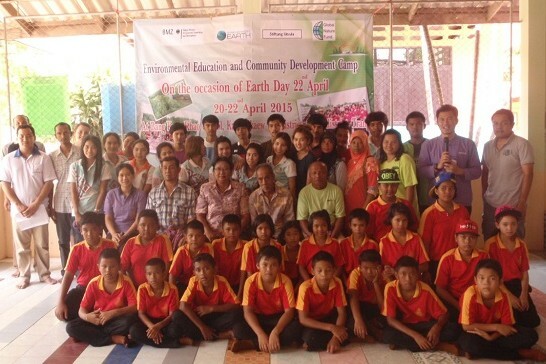 The second stop of the day brought the villagers to the heat of mid-day and to the eco village of Ban Nai Nang. 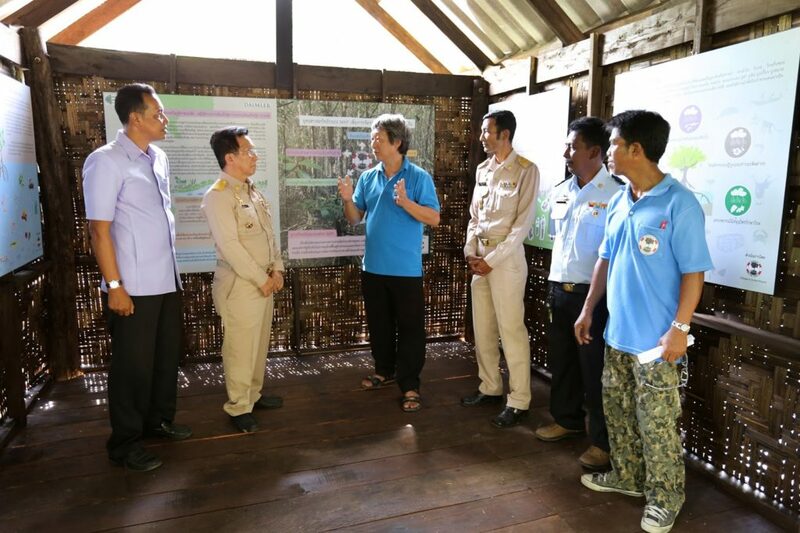 Villagers got to meet Mr. Sutee Pankwan ­­­­­­­the chairperson of the villages apiculture group, and discussed how the village has many different groups (crab bank, ecotourism, and apiculture product production) and that allwork together and contribute their profits to the conservation group that aids the preservation of the mangroves. 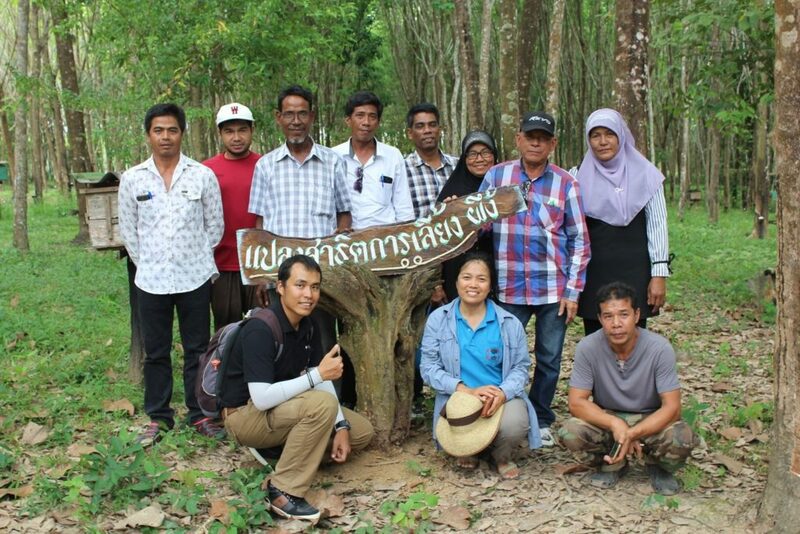 Sutee Pankwan highlighted the need to learn and work together and share knowledge to be successful, and told the group that, “working together is the key to our success. We all have different groups in the village, but we always make sure that some of the money we make, goes into the conservation fund. 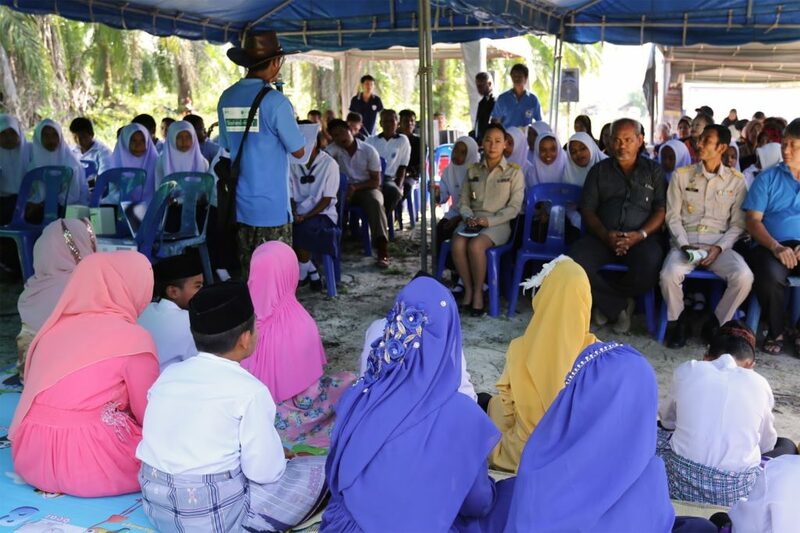 Without natre, our projects would be pointless.” He also shared that the village was trying to register as a community forest, and that they have plans to work on rehabilitating the mangrove area in the coming month. 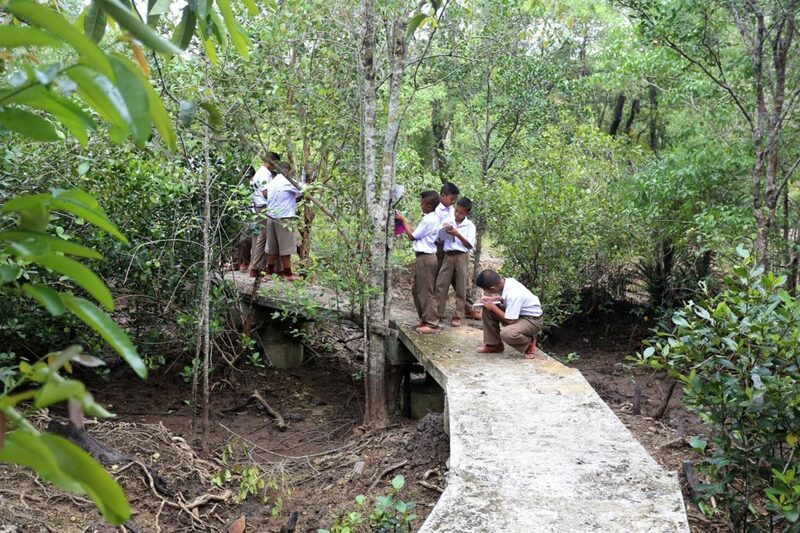 After trying some of the delicious honey and touring the mangrove site, the villagers embarked on the final step of their trip. 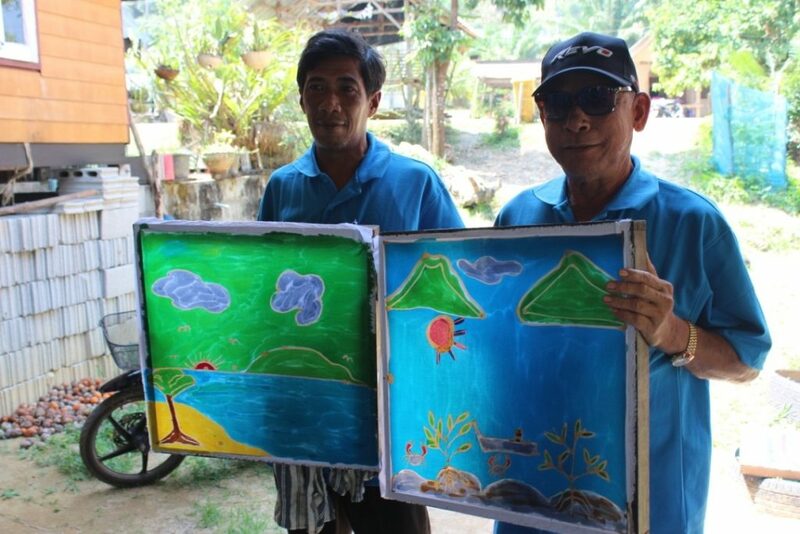 Two participants showing off their own handmade Batik prints made at Ban Talae Nok. March 9th, 2017. 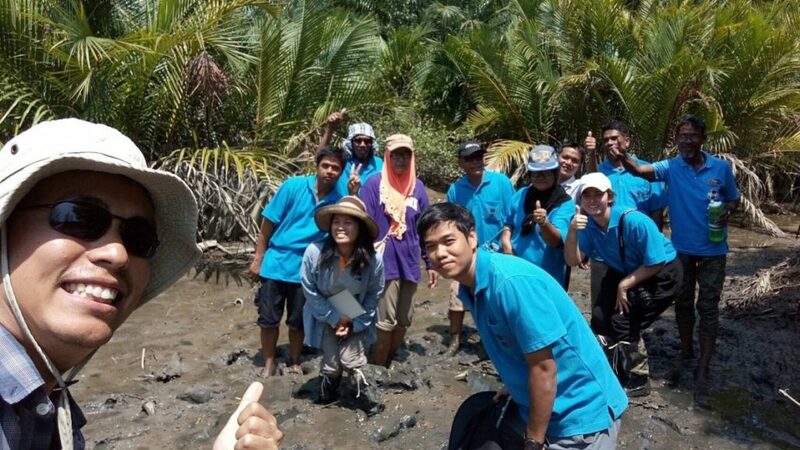 A group “selfie” in the Mangrove Restoration Site at Ban Talae Nok. March 9th, 2017. 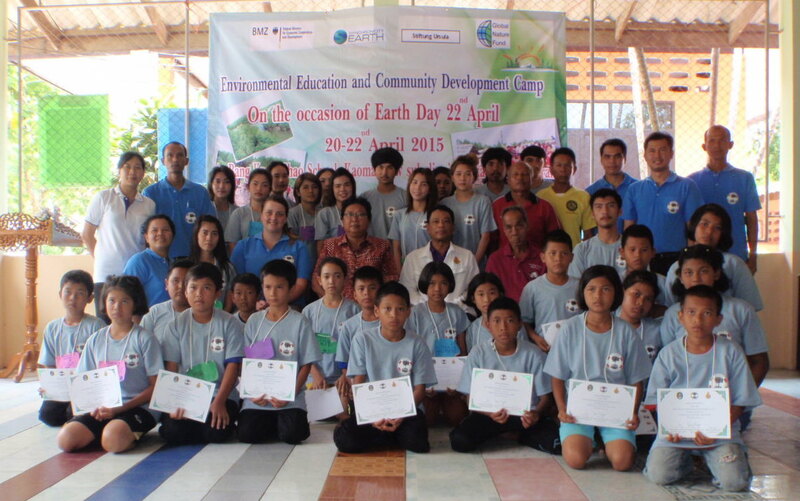 In celebration of World Earth Day on the 22nd of April 2015, MAP Asia held a two and a half day environmental education and community development camp in Bang Kang Kao community, Trang province one of the GNF (Global Nature Fund) sites between the 20th and 22nd of April. 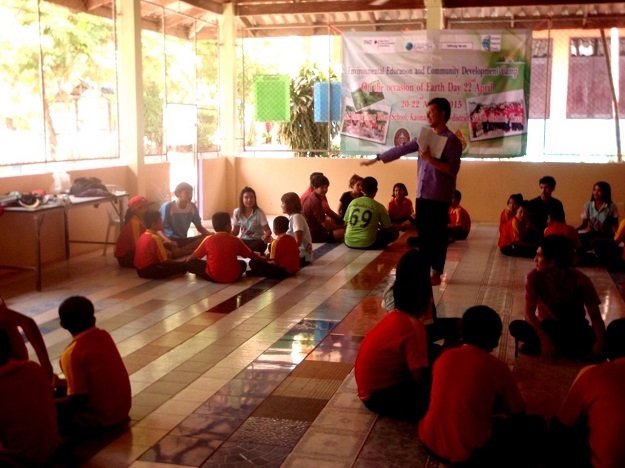 This camp involved around 20 facilitators including staff from MAP, members of the community, and student volunteers from Surat Thani Rajabhat University and staff from the Bang Kang Kao School. 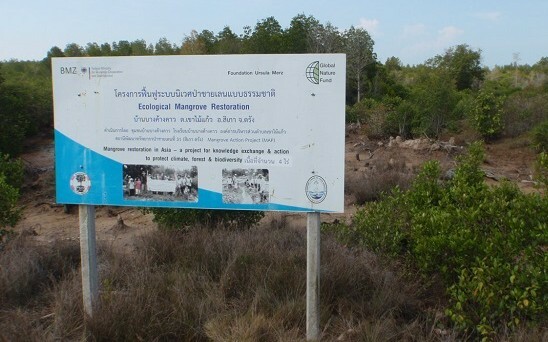 The objective of this camp was two fold; provide the Bang Kang Khao School with mangrove awareness display exhibits and expand the environmental education knowledge of of 21 students in years four and five, with a focus on mangrove ecosystems. 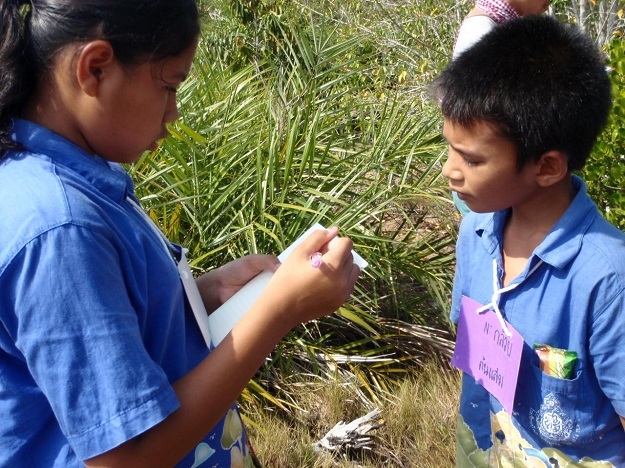 The main learning goal was for for students to understand the benefits that mangroves provide by learning from facilitator experts and local community people who have direct first-hand experience. 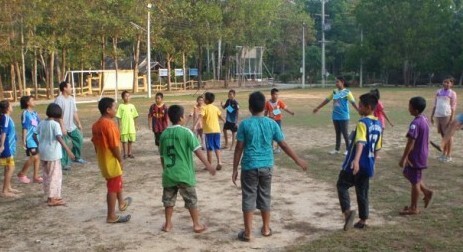 The first day started with some ‘ice-breaker’ activities as the group got to know each other. 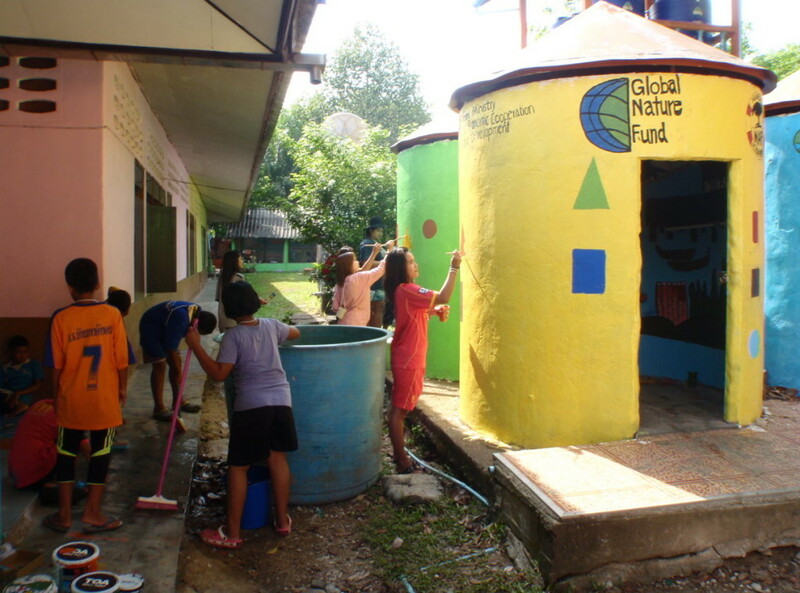 Soon, the group was split in to two and the first tasks started…..
One group was sent to paint the shower rooms to give them an environmental conservation theme…. 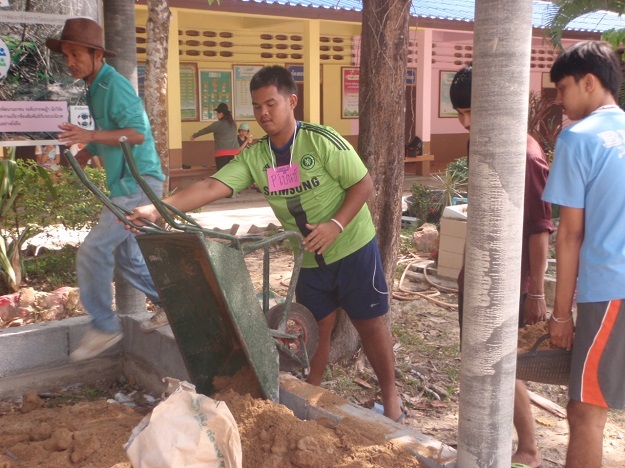 Surat Thani Rajaphat University students started to build the foundations for a new environmental exhibition centre on the school grounds. some discussions in the evening and a nights rest, the next days started with some exercises to wake everyone up…..
Groups were then given some time to prepare a performance which they would give to everyone to try and teach them what they had learnt. 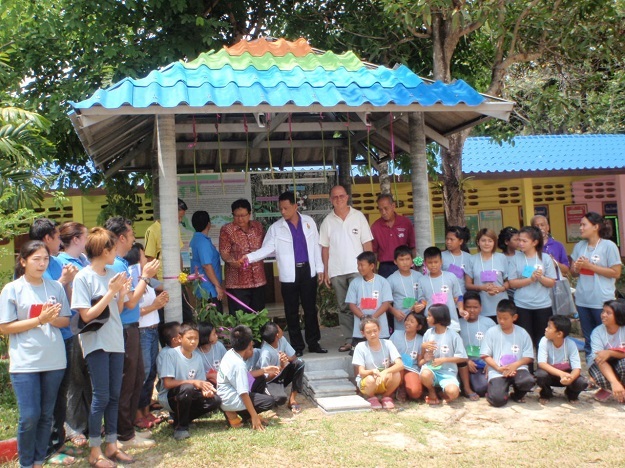 The next day was the closing ceremony where everyone who took part was given a certificate, presented to them by the Chief Primary Education Officer of Trang….. 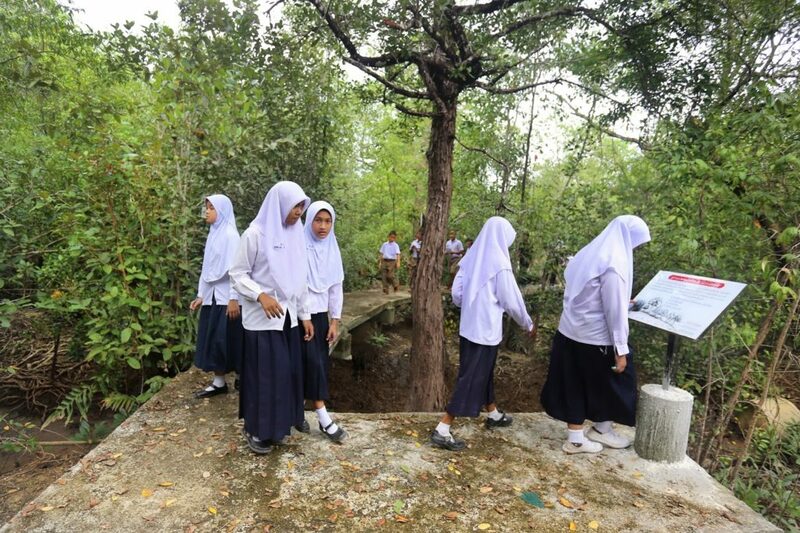 Finally, school children and university students took part in some practical conservation work as they a planted a few mangrove propagules in the local EMR site. 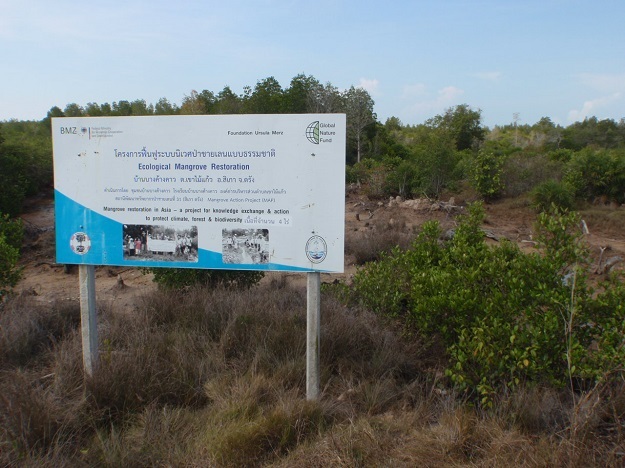 Key Message: Overall, it is hoped that these important mangrove conservation and environmental messages are able to reach the younger generation as they become the major force in conservation and restoration of mangroves in their own community in the future. The three days have been a truly memorable experience with a brilliant range of activities which hopefully can be repeated in the future.